I first discovered and fell in love with Otomi Tenango embroidery on a trip to Mexico City with my grandmother years ago. These colorful patterns were first created by an indigenous group called the Otomi living in a town called Tenango de Doria, just north of Mexico City. In the 1960s, they suffered a severe drought which destroyed their farming, so they were forced to pivot and focus on another industry: textiles. Their designs were inspired by nearby cave paintings, and were made using brightly colored embroidery. These vibrant colors and patterns make me so happy and bring joy into a space. 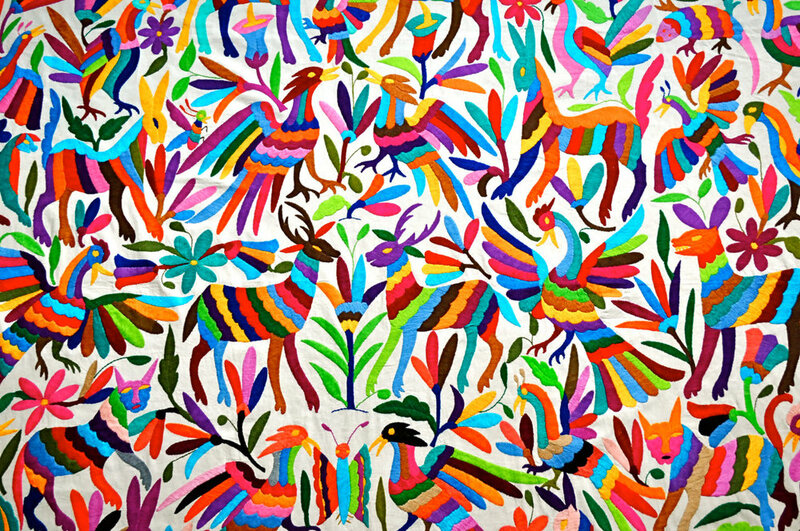 I've been seeing the Otomi textiles (traditional and inspired) more lately. They were a source of inspiration for a recent branding project which I will reveal soon!